How will Apple follow up a 2012 lineup that included two new tablets, a new notebook and a new phone? Analysts Gene Munster and Douglas Clinton of Piper Jaffray took a stab at predicting what used to be unpredictable: Apple's product calendar. Their report includes a number of not-so-prominent product upgrades, which lead Piper's analysts to the conclusion that 2013 "will set the stage for bigger changes in the product lineup in 2014 and beyond." But even a slow year from Apple tends to turn some heads. 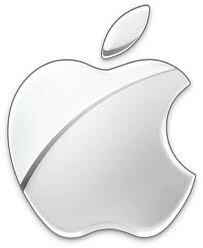 Here are five possible Apple products to look for in 2013. Apple users were outraged with the iOS 6 upgrade that eliminated YouTube and Google Maps apps. Apple's maps app was so bad, in fact, that CEO Tim Cook issued an apology to customers in September and even encouraged them to try competitor's apps until the problem could be resolved. Factor in the management shakeup that resulted in the firing of mobile software chief Scott Forstall, and the pressure is on Apple to come back strong with iOS 7. Look for Passbook, the mobile wallet feature of Apple's operating system, to play a more prominent role in the upgrade. Munster and Clinton believe a new iPhone 5S will come out in September, although some reports have pegged a launch date as early as June. The iPhone 5 was a September release; so was the iPhone 4S in 2011. Regardless of the date, users can expect an updated camera (as usual) and better battery life. The 5S will look the same as the iPhone 5 -- same screen size, same width -- but the new stuff will all be inside. Apple sold over 5 million iPhone 5 devices in the phone's first weekend in September. Not just the digital receiver box already available as Apple TV -- an actual Apple Television. The timing would make sense, right before the holiday season, but not all Apple followers are convinced a TV will actually hit the market in 2013. For starters, analysts have predicted an Apple Television would arrive for years with nothing to show for it. Plus, television margins are small, and Apple products are notorious for having some of the largest margins in the industry. Munster and Clinton predict an Apple TV will measure 42" to 55" and cost between $1500 and $2000. Similarly sized plasma and LCD TVs from Vizio, Samsung and Panasonic all clock in at under $1000, but Apple has never shied away from offering high quality at high cost.